Physically protect your RJ-45 cable plugs with RJLOCKDOWN security locks. Patch cord locks can lock a patch cable into a port or prevent someone from using a loose cable. The plug locks are secured with small screws that require unusual wrenches to unfasten. 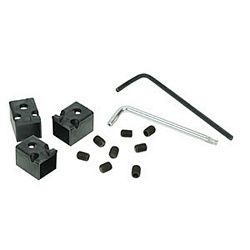 Each kit includes Allen and TORX locking screws and the appropriate wrenches.